The Camps Bay is engineered to ease the burden of carrying your equipment. This high performance camera and laptop backpack overcomes the challenges of the nomad photographer, a faithful friend for the journey. 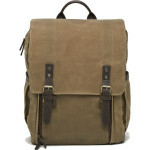 With a waxed canvas and leather exterior and thick padding for comfort, this tough but attractive backpack accommodates an SLR with a 70-200mm/2.8 lens attached, up to 7 additional lenses, and a laptop of up to 17 inches. 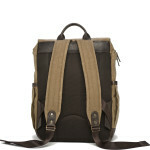 Each bag is handcrafted from water-resistant waxed canvas, with a leather base and detailing that makes this backpack both stylish and robust. 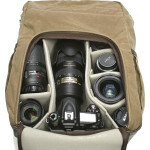 As well as holding a laptop of up to 17 inches, an SLR with attached lens, and an impressive 7 further lenses, store personal items in the 4-7” adjustable top compartment. Mould the main compartment using the removable inserts and adjustable top divider to organise your gear, accessible from the front with secure zip closure. This broad and sturdy backpack evenly distributes the weight of heavy equipment, with thick padded shoulder straps and a breathable mesh back panel. Easily grab your batteries, memories cards or personal items from the dual open side pockets, or store safely in the zipped front pouch. The Camps Bay is a heavy-duty backpack that comfortably carries all of your equipment. With resilient waxed canvas and attractive leather trimmings, it’s a stylish companion for serious photography and overnight trips. Balancing capacity with comfort, the inserts can be arranged or detached to carry an SLR with a 70-200mm/2.8 lens and up to 7 additional lenses, with a separate compartment for your laptop. The special divider at the top adjusts between 4-7 inches, depending on the ratio of gear to personal items. Dual tuck clasps provide quick access to the bag, with zipped entry to the main compartment and a slim zipped pocket on the front, as well as two convenient side pockets for your essentials. 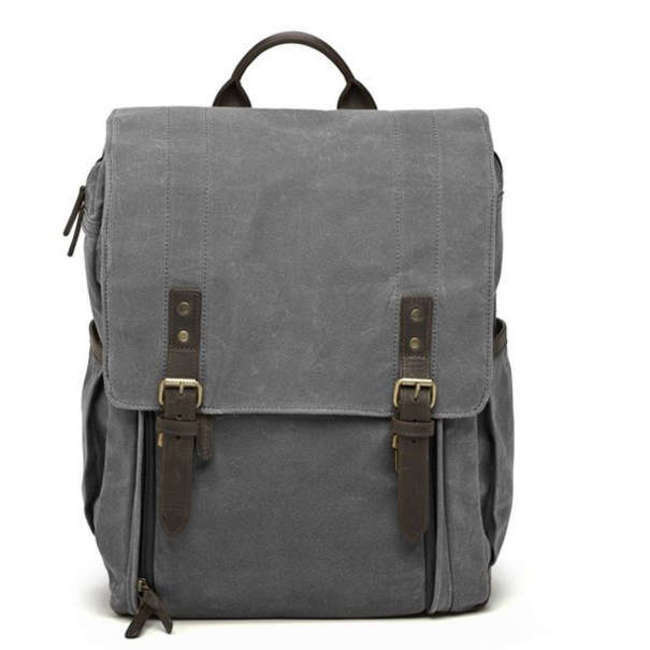 With a padded leather base, shoulder straps and back panel, it’s a smart choice for long days on the move. 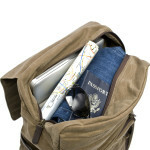 A hard-wearing backpack that is built to withstand heavy loads and wear and tear. To maintain the condition and water-resistance of the waxed canvas and leather, apply dedicated wax treatments to the material once every few years. A brand that caters specifically to the needs of the modern photographer, ONA leads the way with its premium collection of stylish and practical camera bags. Made in America, they bring classic styles into the present day, for bags that only get better with age.